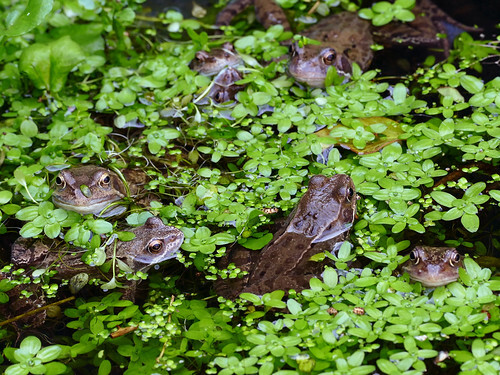 A lot of frogs basking in the sun... and the spawn is finally starting to turn into tadpoles! 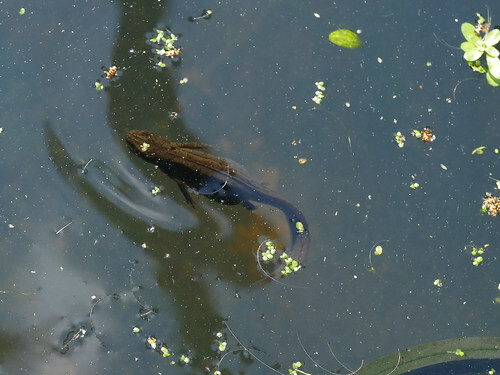 However, I did notice that we have a lot more newts than we did last year- I counted four in one pond basket, all lurking about beneath the pondweed, and a few more swimming about. 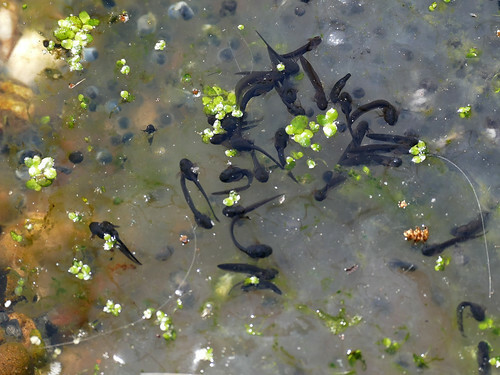 I don't know if this photo is of one that is full of eggs, or it's eaten a LOT of tadpoles.